The Beatles changed the way we all listen to music, and to pay homage to their craft and to ensure authenticity, a great deal of time was spent on researching the rich history of the group and the era they helped define. It was a moment in time that is seared into our hearts and minds - the era of war and peace, violence and free love. The message of love that came out of their music is universal and has stood the test of time. 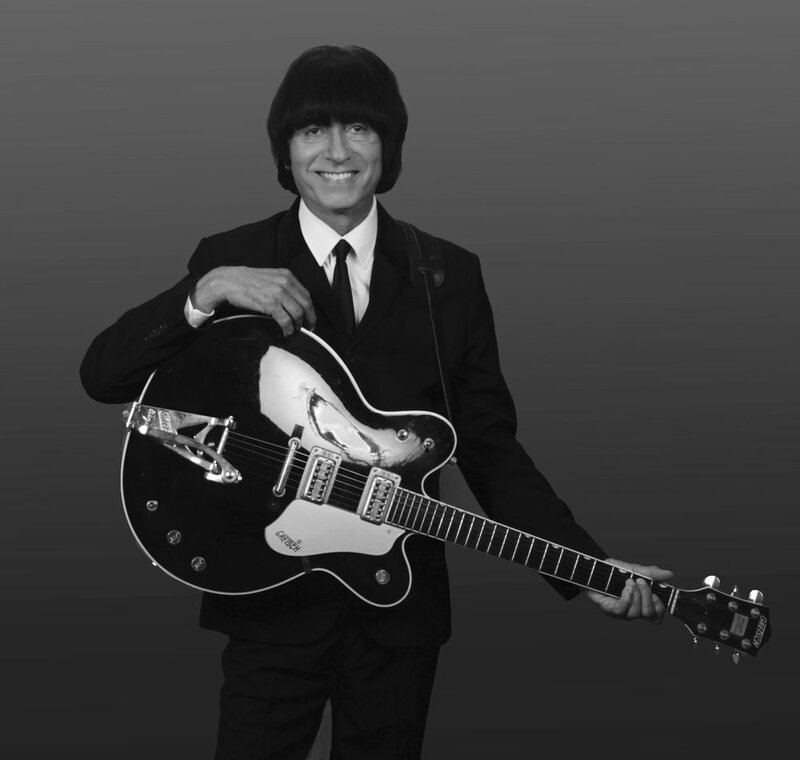 George Harrison, portrayed by Jimmy Pou, toured the world with the original Beatlemania show. He has also played with 1964 the Tribute, Beatlemania Now, and Rain. He also has his solo tribute to the quiet one called "An Evening With George". Jimmy is also the founding member of “4 Lads From Liverpool” and is the leader of the show. John Lennon, portrayed by Howard Pattow, has toured with "Which Ones Pink" a tribute to Pink Floyd, and fronted a Monkees tribute show in the past. Howard also works with a Genesis tribute show. He has also played in several Beatle shows such as BackBeat and Twist and Shout. Paul McCartney, portrayed by Jon Perry, is a naturally left handed guitarist. He has the vocal range and the personality of Paul and his stage presence leaves everyone thinking they have seen Sir Paul in action. He has had a solo McCartney tribute show, and has toured with RCCL Cruise Liners, and has worked with cast members of Beatlemania. 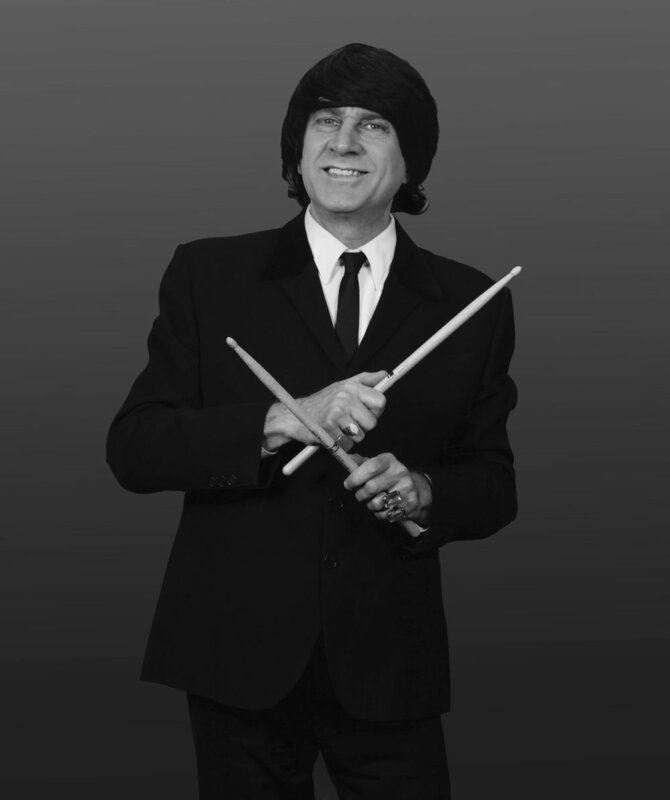 Ringo Starr, portrayed by Mike Sarafian, is a perfectionist at playing the Ringo drum licks and has always worked hard at his craft and has the same charm as the Beatles drummer. Mike was also a founding member of the Beach Boys tribute band “Surfin Safari”.